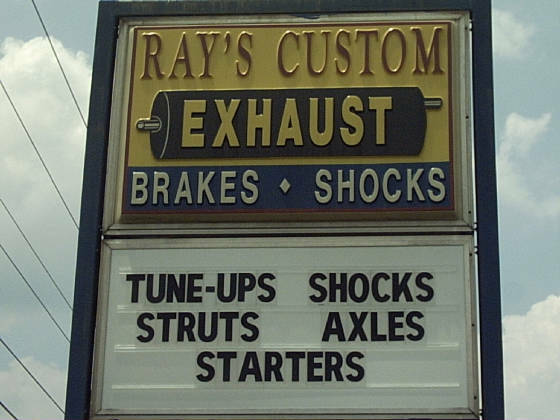 Rays Custom Exhaust has been in business for over 26 years. We are a family owned and operated business, since 1988. We specialize in custom exhaust systems, we custom bend, and weld all of our exhaust. We carry Magnaflow, Flowmaster, Flow II 409, Flow-Sound, Jones Exhaust Tips and AP Exhaust Products. We also can install your special order exhaust products or exhaust systems or kits on your vehicle. We install direct fit catalytic converters as well as universal catalytic converters. We also have a full line of chrome and stainless steel tips to add that extra look - and that great sound --"RUMBLE" -- to your exhaust system. We also do minor automotive repair. Such as tune-ups, belt replacement & inspection, brakes, struts, alternators, starters, axles, and other minor repairs. So, what ever your automotive repair or needs are ---give us a call or stop by. We would be very pleased to help you. We also give estimates on any automotive work that you may need to have performed on your vehicle. We are committed to great customer service, use high quality parts and take pride in our work. So, put your trust in us and come to see us when you need repairs on your vehicle. 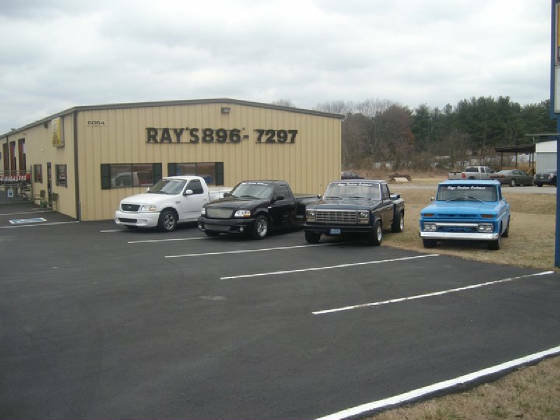 Proudly serving all of Rutherford County, Nashville and all surrounding areas since 1988. Sorry, we do not accept any checks. Call us or come by with any of your exhaust needs.